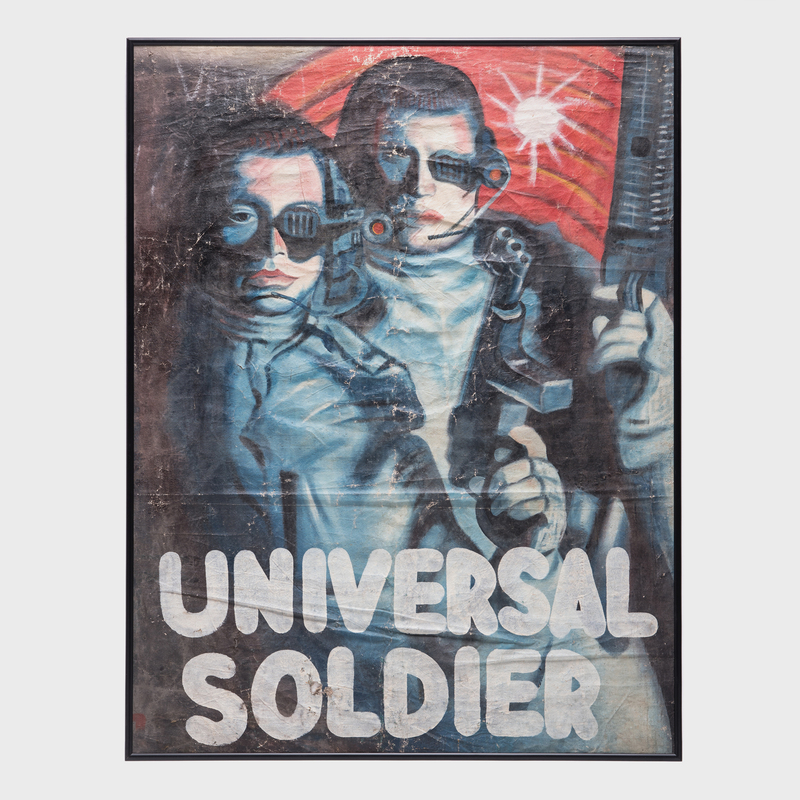 W: 27.75" D: 1.0" H: 35.75"
Starring Jean Claude Van-Damme and Dolph Lundgren, Universal Soldier was a pulpy action/sci-fi from the early 90s. 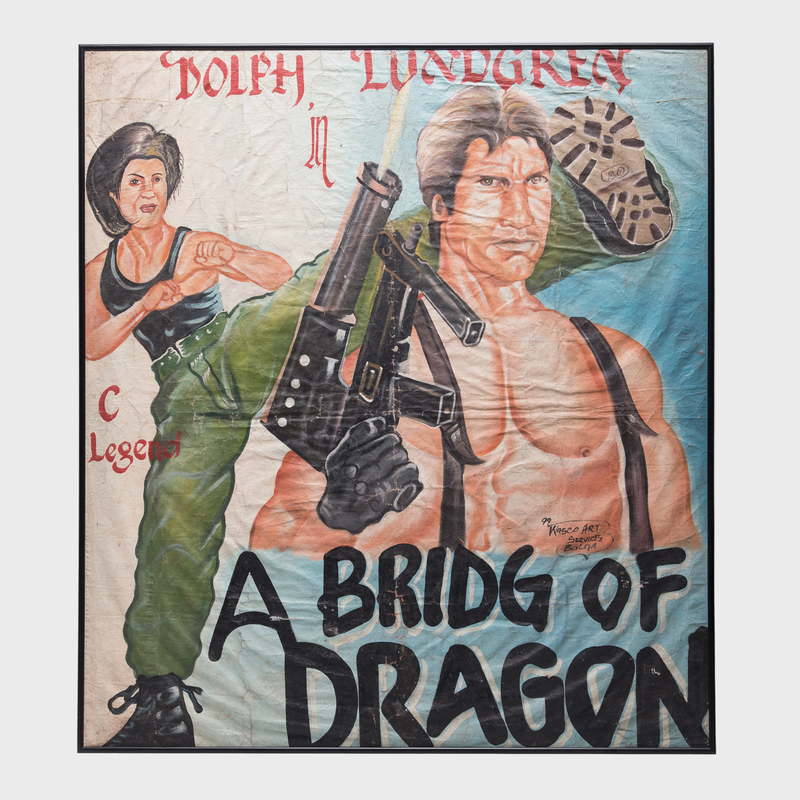 The film's international success is evident in this hand-painted advertisement from Ghana. 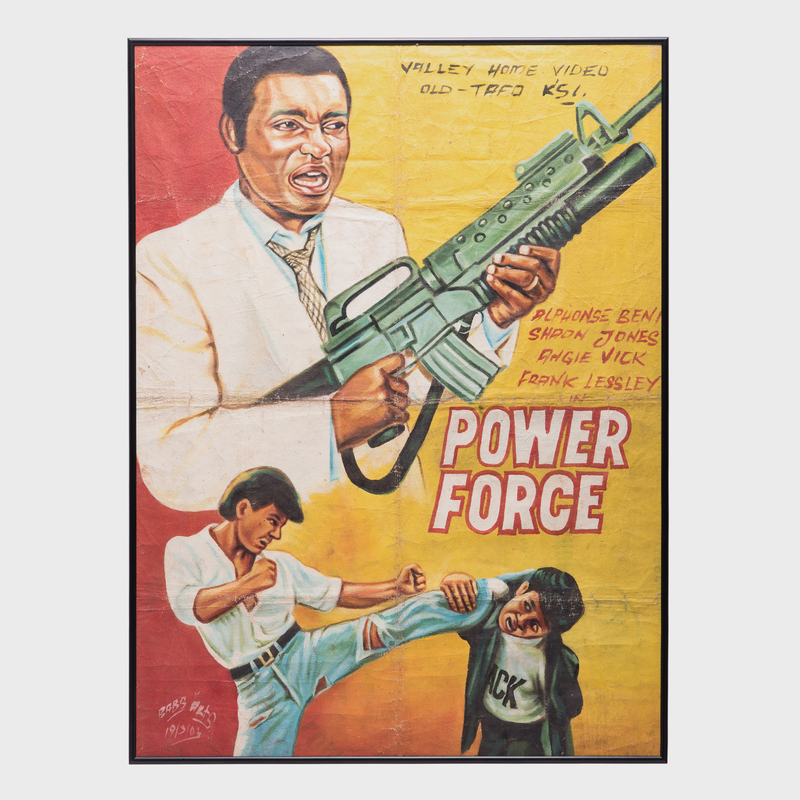 Frequently unable to import official posters, theaters in Ghana hired enterprising artists to create and embellish designs to promote the films in their own style. 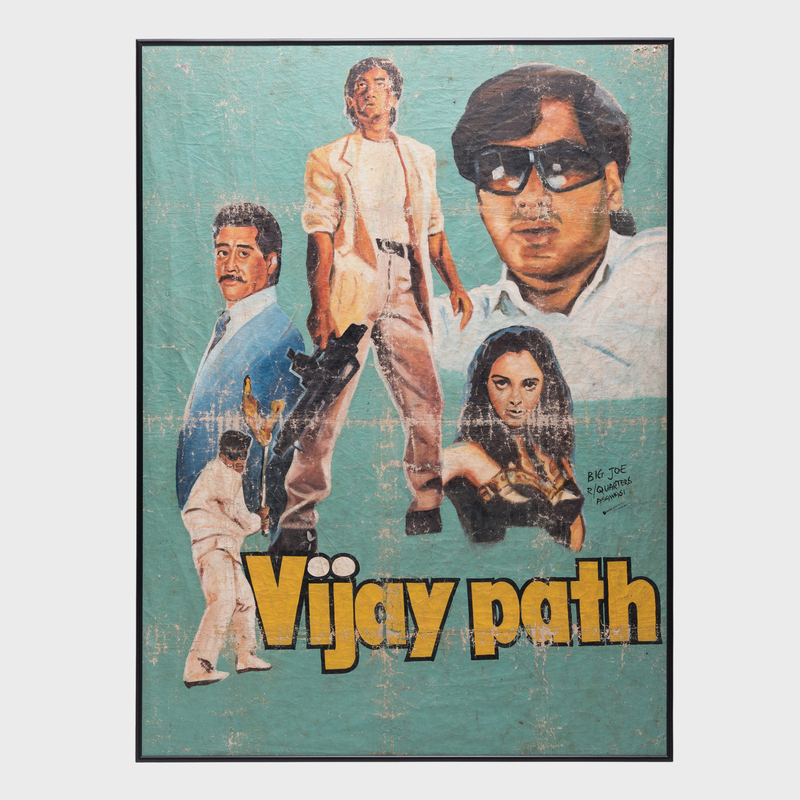 Exemplified by this rather realistic example, the resulting work became an art form unto itself. 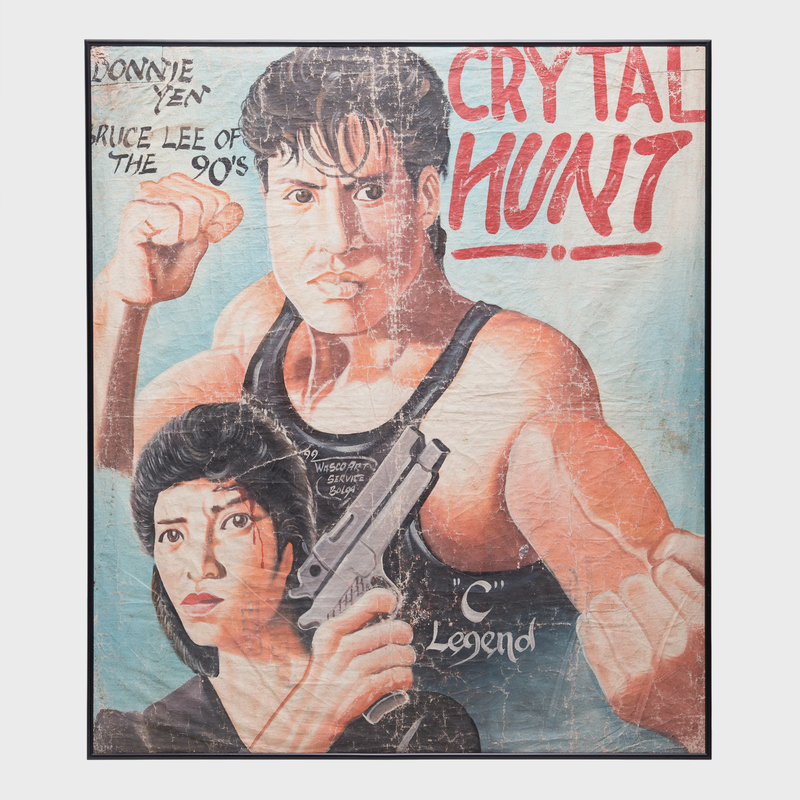 Over time, these singular pieces of movie history have become sought after by collectors the world over.